Hello Spring…and Hello Hay Fever! In case you hadn’t noticed, hay fever season is here. The dry winter throughout the Central West will likely to see pollen counts skyrocket over the next few weeks. With spring upon us, allergic conditions such as hay fever have become problematic for a lot of people. Around 16% of Australians are affected by hay fever (seasonal allergic rhinitis). The main symptoms of nasal stuffiness, sneezing, runny nose and itchy nose and throat are due to an inflammatory response to allergens in the environment. Of course other symptoms include itchy throat, itchy eyes, postnasal drip, ear ache, headache, and decreased taste and smell. Hay fever is also associated with a higher prevalence of asthma and/or eczema which also tend to be worse at this time of year. 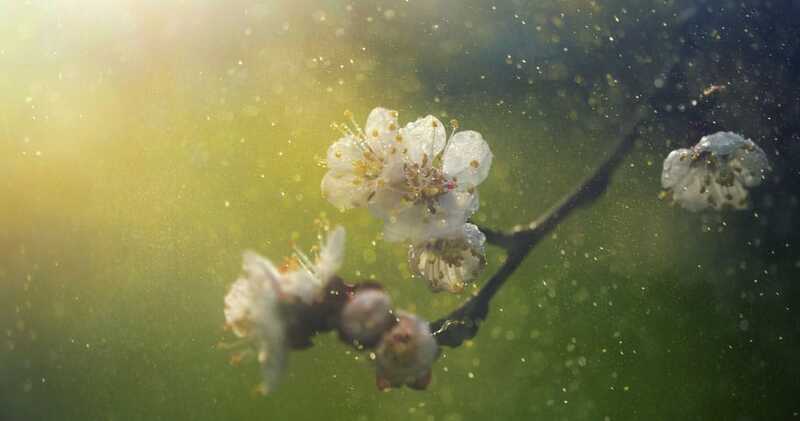 How effective is Chinese Medicine at Treating Hay Fever? There has been a growing number of high quality clinical trials over the last few years looking into the effectiveness of acupuncture and Chinese herbal medicine at treating hay fever, with some impressive results. Not new news for us Chinese medicine practitioners of course, but it is good to see the evidence base grow. One trial from our own RMIT university in Melbourne showed a pronounced reduction in the primary symptoms (mentioned above), and as a result, a much reduced need for medication. This was achieved over 8 weeks of acupuncture treatment. For moderate sufferers, antihistamine medication and/or nasal sprays are often enough to take out the symptoms, but the effects only last as long as the last dose. In contrast, a course of acupuncture will see effects that are sustained for quite some time. In the above mentioned RMIT trial, the results were not only sustained, but they continued to improve at a follow up 12 weeks after the end of treatment. From other clinical trials, we know that the benefits of acupuncture can continue for many months, and this has certainly been my experience in the clinic. Other research involving Chinese herbs show similar results, and my preference is to use acupuncture and Chinese herbal medicine as a combined therapy. You can continue to take antihistamines throughout treatment as needed. If you know you are a more sufferer, my advice is to treat early – at the first signs of symptoms. Or even better, a month or two before the beginning of pollen season. For those who have allergic rhinitis at other times of year, the approach may be slightly different, but traditional Chinese medicine (TCM) still provides an effective drug-free and side effect-free treatment. If you struggle with asthma or allergic skin conditions at this time of year, we have treatment strategies for these too. If you have any questions about tailored hay fever treatment program, please don’t hesitate to contact me. For appointments, please call our clinic reception on 02 6361 8429. Xue, Charlie CL, et al. “Acupuncture for persistent allergic rhinitis: a randomised, sham-controlled trial.” Medical Journal of Australia 187.6 (2007): 337. Brinkhaus, B., et al. “Acupuncture and Chinese herbal medicine in the treatment of patients with seasonal allergic rhinitis: a randomized-controlled clinical trial.” Allergy 59.9 (2004): 953-960. Xue, Charlie C., et al. “Treatment for seasonal allergic rhinitis by Chinese herbal medicine: a randomized placebo controlled trial.” (2003). Click here for more information on Acupuncture in Orange or Chinese Herbal Medicine in Orange.